When a primary school teacher and a doctor made the move to Melbourne from Brighton, England, they weren’t entirely sure what to expect. 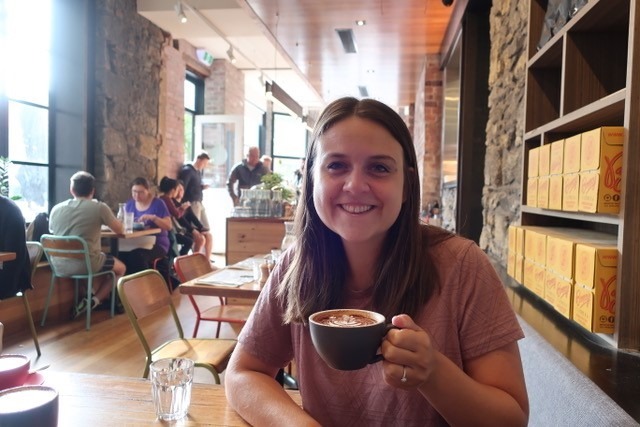 But Rosie Pariser tells us that the city hasn’t disappointed – they’re already coffee snobs and loving the better work-life balance! Melbourne was an easy choice when choosing where to live in Australia. Good job opportunities, paired with rave reviews from friends, led to us packing our bags and moving from Brighton and Hove, to the land Down Under. What’s not to love about a buzzing city, close to stunning rural Victoria and golden sandy beaches? Moving to the other side of the world involved a lot of work, and most of our time was spent sorting out the practical aspects, such as visas, professional registrations, and renting out our own apartment in the UK. Other than a cursory flick through a guide book to Melbourne, we really had no idea what we were getting ourselves into. Melbourne is the capital city of the state of Victoria. Despite being the smallest mainland state, Victoria is packed full of regions with natural beauty, culture and heritage. Down in Australia’s south east, Victoria’s climate is variable, caught between hot winds from the north, and cold fronts from the Southern Ocean. Indeed the weather is so unpredictable that Melburnians will love to tell you that there are “four seasons in one day”. On arrival into Melbourne, we were greeted by a stifling 39ºC heat. A January heatwave was a shock to the system after a bleak English winter. Luckily, as the weather drastically changes in Melbourne from day-to-day, we soon had many days where we could explore the city in cooler climes. 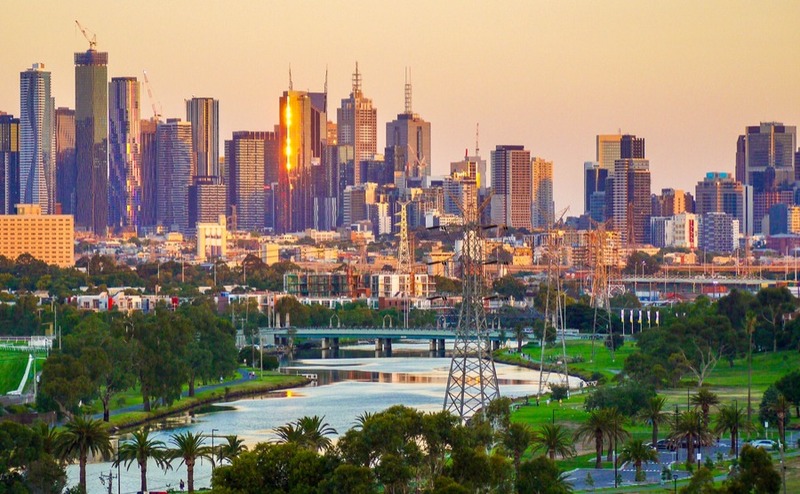 Melbourne was ranked the ‘most liveable city’ in the world for seven consecutive years, until Vienna pipped it to the post in 2018. In the Global Liveability Index, the Economist Intelligence Unit gave Melbourne maximum points for healthcare, education and infrastructure, and it scored highly in other areas too. Living here, it is easy to see why. Due to its enormous popularity, Melbourne’s population is growing rapidly and is set to overtake Sydney by 2030. But for a city with a population of nearly five million people, Melbourne feels surprisingly compact and easy to navigate. The city centre is divided into well-designed, distinct pockets, which include world class Sports and Arts Precincts, vibrant laneways and picturesque waterfronts. The centre is largely connected through a simple grid road system and superb public transport links that serve the surrounding multi-cultural suburbs. Although the roads are wide and long, gorgeous inner-city parks and unique Victorian and contemporary architecture create a fascinating cityscape. Within driving distance of the city is the iconic Great Ocean Road, award-winning wineries of the Yarra Valley, historic gold mining towns, snow-capped mountains and stunning hikes. The foodie city is filled with lively markets, food and drink festivals, and an exciting restaurant scene. Beyond the brunches and bars, Melbourne is a cultural haven, with museums, galleries, concerts, and many community festivals. Also known as the sporting capital of the world, Melbourne is the home of Australian Rules Football, and boasts major international events such as the Grand Prix, Australian Open tennis and test match cricket. Within driving distance from the city is the iconic Great Ocean Road, award-winning wineries of the Yarra Valley, historic gold mining towns, snow-capped mountains, and stunning hikes in the Grampians and Wilsons Promontory National Park. Whether you are more likely to be holding a surf board or a sparkling wine; a footy ticket or a flat white, it’s all within easy reach living in Melbourne. Stepping away from the city centre is where I fell in love with Melbourne. A map of the city looks more like a patchwork of suburbs, each with its own character. Many suburbs have a main shopping street full of individuality, with thriving independent businesses, from cinemas, clothing shops, hairdressers/barbers, bars, restaurants and, of course, cafes. After a mere week in Melbourne you may have become a coffee snob and brunch fanatic. In general, a good brunch menu in Melbourne would include smashed avocado and poached eggs on sourdough toast, sweetcorn fritters, a healthy bircher or acai bowl, or a posh ‘fry-up’. 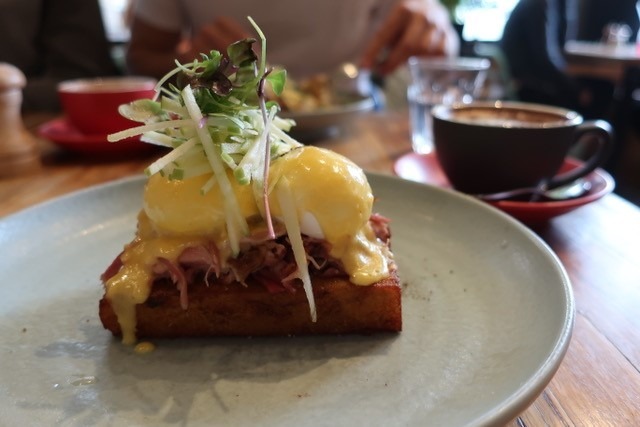 My favourite brunch is from Two Birds Café with their version of an Eggs Benedict, “with slow braised smoked ham hock, apple cider hollandaise & home-made potato hash”. Generally considered the ‘posher’ part of town, Melbourne’s pristine Southside is close to the coast and the city. Swanky southern suburbs such as South Melbourne, South Yarra, Toorak and Brighton are known for their boutique shops, fitness fanatics, and high-class cafes. They are perfect for families who are looking for the sun, sea and city. The seaside suburb of St Kilda is a hotspot for backpackers and younger couples who like to party by the beach. On the other side of the Yarra River, the arty Northside is home to trendier areas such as Fitzroy, Collingwood, Carlton and Brunswick. The green leafy Eastern suburbs of Ivanhoe, Hawthorn, Kew, Balwyn and Camberwell are family-friendly. Popular up and coming areas include Footscray, Northcote and Thornbury. Applying for a visa was a long process with moments of stress and frustration. My partner was fortunate to be able to apply for the Temporary Work (Skilled) visa, since replaced by the new Temporary Skills Shortage (TSS) visa. The process started with a few months of emails to try and find a sponsor, eventually leading to a phone interview and job offer. The next hurdle was applying for professional registration (as a doctor and teacher), before finally lodging our visa application. This included submitting a dossier of evidence to prove we were in a fully committed relationship for my de-facto partner visa. We both had to provide written statements to show: “domestic arrangements […] how you support each other financially, physically and emotionally and when this level of commitment began”. This had to detail how our relationship developed and if they were any moments of separation. Joe’s mother also gave a written statement to support that we were in a fully committed relationship. We had to prove that we lived together, and supply financial information which included our joint mortgage, joint bank accounts, and utility bills. We created a PDF document full of scanned family photographs, holiday snaps, joint invitations (e.g. weddings, birthdays), and so on. These were all put into chronological order and annotated. Due to a delay in the registration process we didn’t have our work visa approved, despite having a contract with a start date for work. For a period, we were in a state of limbo: unable to work and unable to rent a flat without the visa. In our first month, we were based in an Airbnb in the northern suburb of Fitzroy, only a stroll or short tram ride to the city centre. A much-contested debate for Melburnians is whether living to the north or south of the Yarra River is better. We fell in love with the Northside and its hipster cafes, street art and alternative cultural attitudes. Fitzroy’s sister neighbourhood is the slightly grungier Collingwood. This is where we began our search for a rental property. The costs can soon add when you first move to Australia. Getting a specialist currency company’s help will save you money and hassle. Download the Currency Guide to Emigration. Due to its easy transport links in and around Melbourne, and its lively café and bar culture, Collingwood is a fast-growing central suburb with apartment complexes constantly being developed and built. Typically, the search for a rental property begins online, with either RealEstate.com.au or Domain.com.au. Most flat viewings are arranged as open inspections, with one estate agent and a large group of viewers crammed into a one- or two-bedroom apartment. Generally, it is difficult to find fully furnished flats in Melbourne, however many do come with major kitchen appliances and fitted wardrobes. With our visas eventually approved, we applied for apartments within a large modern complex, and are now living in a two-bedroom, two-bathroom apartment with a private balcony. After finding a suitable apartment, the application process was made relatively simple by a website called 1form. Here, you can write one application form and apply for multiple properties. With our visas eventually approved, we applied for apartments within a large modern complex, and are now living in a two-bedroom, two-bathroom apartment with a private balcony and onsite car parking. The apartment includes access to a communal gym, library room, rooftop and BBQ area. At $550 (£300) per week, it initially seemed expensive compared to the UK. However, salaries in Australia tend to be higher, and proportionally one spends less money on accommodation out here. Working in Australia has given our lives a real change of pace. My partner began work in the Emergency Department (A&E) and I became a casual relief (supply) teacher based in primary schools across the Northern suburbs of Melbourne. Our work-life balance has dramatically improved as we are both working fewer hours for better pay. Our work-life balance has dramatically improved as we are both working fewer hours for better pay. A relaxed lifestyle with more leisure time and more disposable income has given us the opportunity to travel regularly, enjoy the outdoors, and soak in the Australian sunshine. 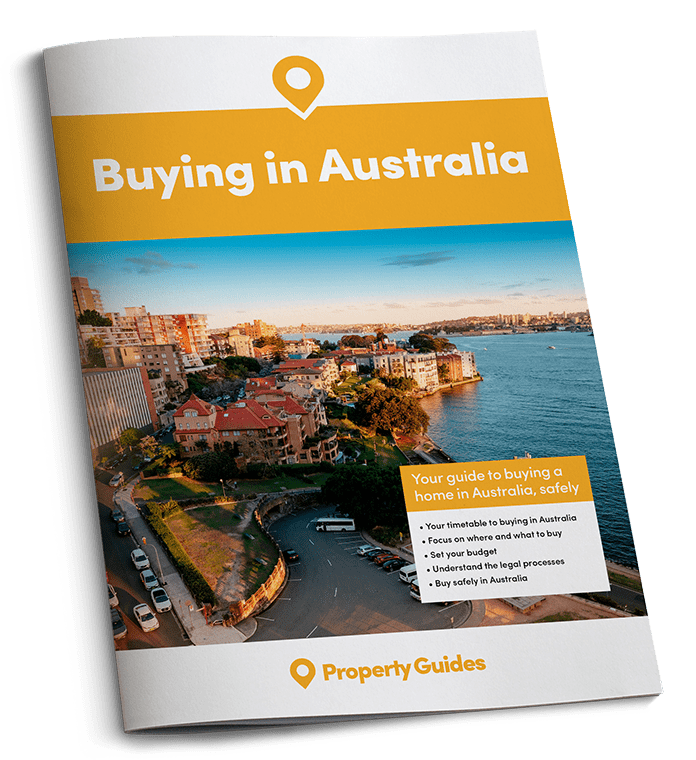 If you decide to buy in Melbourne, read the Australia Buying Guide. Everything you need to know about buying Down Under in one place. In Melbourne, houses or apartments are either sold by private sale or auction. Depending on the suburb, properties to rent or buy are extremely variable in price. A young couple looking to rent an unfurnished apartment, in a popular central suburb, would spend roughly $350-$450 per week (for a one bedroom) or $450-$600 per week (for a two bedroom). Buying an apartment in an inner-city suburb would cost between $350-$450,000 for a one bedroom, and $550-$800,000 for a two bedroom. Prices of apartments are considerably less in outer-city suburbs, and up-and-coming areas. A family looking to buy a two-bedroom house around the fringe of the city could spend less than $850,000. For example, in outer eastern suburbs such as Lilydale, two-bedroom houses are available for under $500,000. Within Melbourne, two-bedroom house prices cost around $850,000 in more affordable suburbs, such as Coburg and Footscray. In general, the most desirable suburbs are near water (e.g. Yarra River, Merri Creek and beaches) with good public transport links and plenty of green open spaces. Popularity comes with a price tag, and a two-bedroom house in a sought-after suburb will cost well in excess of $1,000,000.